bit.ly is a popular and very basic URL shortening service. Besides the basic URL shortening, it also provide other features like analytics click tracking and qr code generation. By default, qr code is generated for all short bit.ly URLs. Hence, you can easily get QR code image of any bit.ly URL. QR code image will be displayed for specific bit.ly URL. You can use camera of your smartphone to read the QR code and open specific URL on your mobile phone. 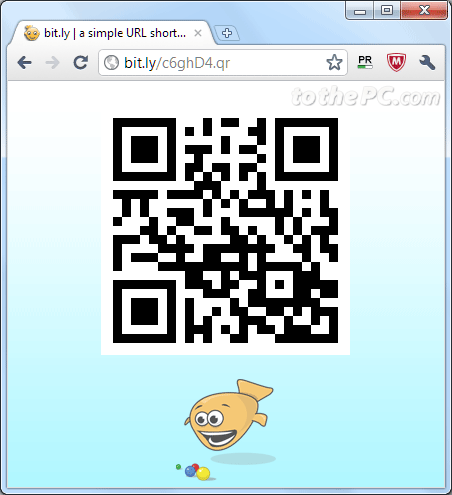 You can also use Goo.gl service to shorten URLs and generate QR code of goo.gl URLs.